You can do anything, but if somebody doesn’t give you a chance there is nothing you can do. Awards and contests give the chances to prove your talents. 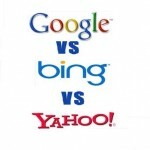 The organizing body of an SEO competition may organize a contest in order to market something on the Internet. Participants can show their skills and potentially discover and share new techniques for promoting websites. Some of the SEO Awards and Contests are given below. It’s an award to recognize excellence and encourage new ideas in search engine marketing. A panel of industry experts and the Search Engine Watch editorial staff will judge and honor 14 outstanding search marketers, search engines and technology providers. Each participant may submit nominations for multiple categories. The entry deadline encloses today. There is an application fee of $145 per entry. On July 27, 2009 Finalists will be notified and will receive 1-day pass to the show for the day on which the winner is announced. On August 10th to 14th honorable Winners will be announced at Search Engine Strategies,San Jose . Will Spencer from Net Builders conducted this Sulumits Retsambew SEO contest.. Here the goal is to be ranked on first, second or third place on Google organics search results for the targeted keywords. Everybody can enter the contest. The targeted keyword for this SEO contest is “sulumits retsambew”. The official winners will be determined by using a manual search to google.com. 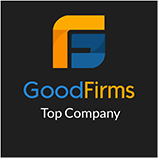 These awards are designed to give clients, suppliers and agencies recognition for genuine innovation and success in digital marketing. Entries for 2009 Innovation Awards may be submitted from 1 September. Shortlists will be announced in mid November and winners will be announced in early December. The Winners’ Dinner will then be hosted in February 2010. Categories for the 2009 Innovation Awards are yet to be announced. Last year they gave awards for Innovation in SEO & Natural Search, Innovation in Paid Search & PPC and Innovation in Web Analytics and Optimization etc. Internet Asia awards are designed to recognize outstanding performance by the region’s Internet business software and service providers and industry executives. Nominations are open now and will close on 1st of August.. All nominated companies will receive 2 free staff passes for the complete 2 Day Summit and have the opportunity to promote their company by a 10 minute presentation to the audience. Summit will be on 8 and 9 of October 2009, Kuala Lumpur, Malaysia. The Winners’ Dinner will then be hosted in 8th October 2009 . MEDIA Magazine awards advertisers and their agencies for the most creative and innovative media campaigns. Creativity will be judged on unique and innovative approaches that succeeded in achieving campaign goals. All entries must be received by 5 p.m on July 31, 2009. Marketing Magazine designed Digital marketing awards for Innovation, excellence and leadership. The entry deadline is Friday July 31,2009 at 5.00 pm. The Digital Marketing Awards winners will be honored during the 2nd annual Marketing Week in Toronto on November. The categories have been divided into three groups: Online Advertising, Websites and other Digital Media. Each entry costs $259.00 + 5% GST. Entries will not be completed until payment has been received and entry fees are non-refundable. Web Marketing Association announced the Internet Advertising Competition (IAC) Awards to honor excellence in online advertising and to recognize the individuals and organizations. This is the only competition to recognize only online categories of advertising. However the IAC awards enclosed, they will announce the upcoming IAC Award entries in just 103 days. 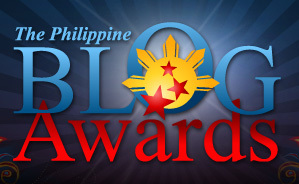 The Philippine Blog Awards is a yearly event that aims to give recognition to outstanding blogs. Philippine Blogger Awards Inc. is a non-stock and non-profit corporation which organizes this Philippine Blog Awards . 2009 Philippine Blog Awards is now open for registration. You may start submitting your favorite blogs. Only one post per blog can be submitted. Nomination Period is from July 8 until August 13, 2009 at 11:59 PM . 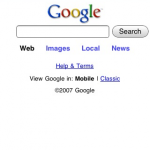 Who’s Gonna Rule The Mobile Search Industry ? Thank you for your suggestion. But I have given the details of the upcoming awards and Contests in this post and the entry date for Andy beal’s Contest has already been over. Thanks for sharing this news.Lets see who will win the award this year.Plz keep coming with updates regarding this. I am late to read this blogpost. I hope that the finalist have been decided. Do you have any updates on who the finalist are ?